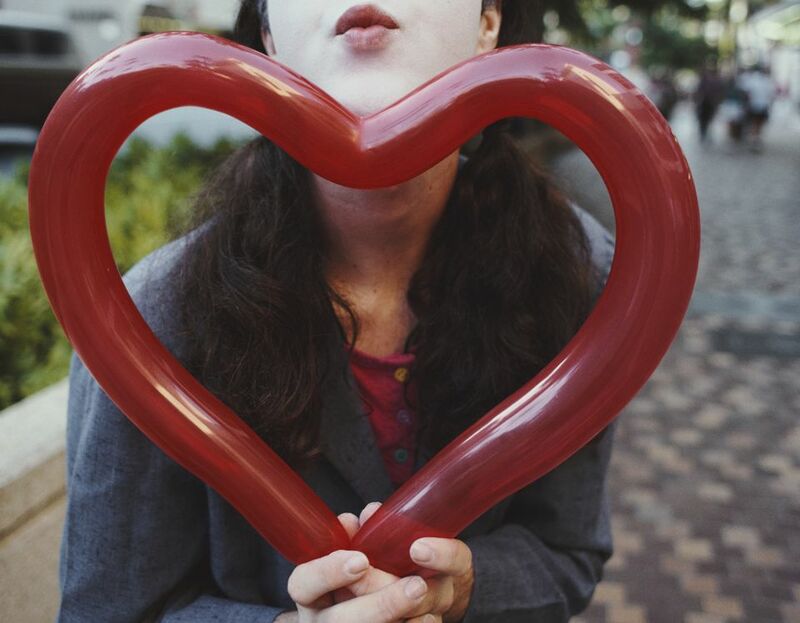 Here’s a cute heart that’s made out of a single balloon that is perfect for Valentine’s Day or that special occasion. You can hand this one out or use it as a decoration. For a heart balloon that is even more impressive, you can combine them with other sculptures. Another fun variation is a couple of swans on a heart that you can learn here. You can add balloon animals of your choice including: the monkey, tiger, and more. Feel free to tap your own creativity. Just think of this heart balloon as one that stands on its own, or can provide a foundation for other cool balloon sculptures. With one of these handles, people can easily carry around your heart balloon. Another plus, if you're working an event, the handle adds visibility to your creations. High visibility balloons are almost like advertising for your services. and the heart balloon, particularly if you add a balloon handle, is definitely one that qualifies. When people can more easily see your balloon creations, they're more likely to seek you out and get their own balloon animals This is a big help whether you're working an event by the hour or charging for balloon animals on a piece by piece basis. None. The heart balloon is something of a unique sculpture that requires its own set of skills that are unrelated to other aspects of balloon twisting. Heart Balloon Animals - Inflating the Balloon. Inflate the balloon to the end. You want the balloon to be firm. Heart Balloon Animals - Turn the Balloon into a Circle. Take the ends of the balloon and twist (join) them together, which forms a circle out of the balloon. It’s generally best to leave about an inch of balloon extending beyond the join of the two ends. Heart Balloon Animals - Turn the Circle into a Heart. Reach to the opposite end of the circle - the point furthest from the two ends of the balloon - and force the middle of the balloon into your closed hand, as shown in the picture. You are pulling down on the center of the loop. By momentarily holding the balloon in this position, you’ll leave a permanent bend that forms the heart. You will probably have to experiment a bit with this process to obtain a strong bend. Generally, the longer that you hold and pull, the greater the bend. Don't be discouraged if your bend isn't perfect or is inadequate to suggest the shape of a heart. This aspect takes practice and experimentation. Other factors that influence the final bend in the balloon include: the temperature of your hands, the amount of air in the balloon and it's firmness, and more. Just experiment and compare your results until you like the resulting heart. Heart Balloon Animals - Finish the Heart. You will now have a balloon animal heart. As mentioned earlier, the heart balloon is merely a start or foundation for lots other balloons. Heart Balloon Animals - Combine the Heart with Love Bird Balloon Animals. For an even more impressive balloon animal, you can combine the love birds with the heart balloon animal.